Home Cover Feature EBAY PANDANT AUCTION……no reserve starting at $1.00 !!!! EBAY PANDANT AUCTION……no reserve starting at $1.00 !!!! 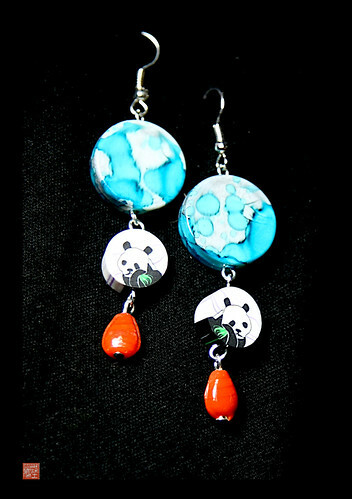 Here is the perfect present for yourself or a panda pal who you think has everything! Balinese Batik designs as wearable art for your neck!!. This Gallery jewelry is valued at well over 100.00 so have a blast bidding and thank you!! I am lovin the colors in this pendant! Busy little panda she looks like!